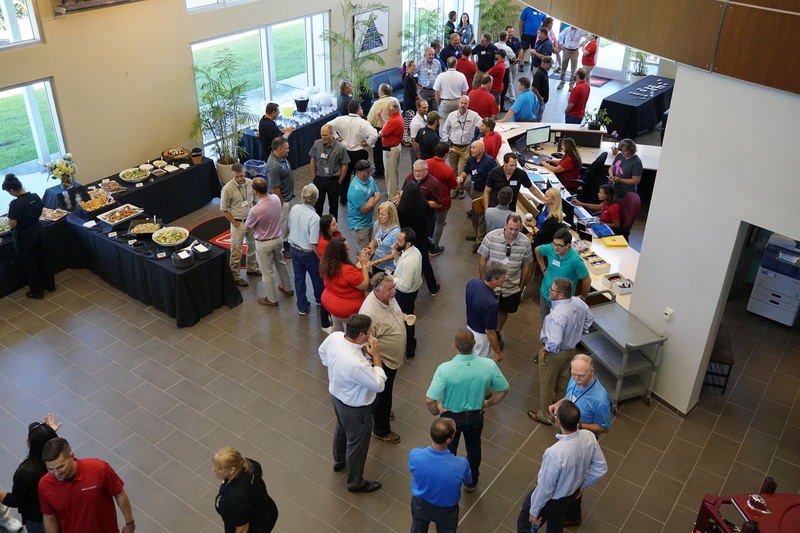 ORLANDO, FL (August 24, 2018) – Today, Correct Craft and its companies hosted a Vendor Appreciation Day to honor its supplier partners. Teams at each of the six Correct Craft plants across the U.S., recognized and honored those who serve us so well. Each Correct Craft company had events to demonstrate their appreciation to suppliers who are critical to our success. Centurion and Supreme hosted a meet and greet with its factory team, lunch, factory tour, and boat rides. For dinner they went to eat wood fired pizza and competed in a bocce ball tournament. Bass Cat and Yar-Craft conducted a company presentation at Arkansas State University in front of their vendors and ate lunch. Later, suppliers participated in a plant tour and on water boat demonstrations. SeaArk organized a luncheon at the Monticello Country Club for its vendors and concluded the day with a factory tour. Nautique hosted a meet and greet before a vendor awards ceremony over lunch. At the end of the day, Nautique concluded with a factory tour and handed out gift bags to show appreciation for each of its suppliers. Bryant organized a ‘Boats and BBQ’ at their facility and vendors had the opportunity to do a factory tour and participate in boat rides. Pleasurecraft Engine Group organized a golf outing at Timberlake Country Club and thanked their suppliers afterwards over lunch.